EXECUTIVE COACH -- Maria Josefina brings over 25 years of experience working with corporations and individuals in the organization and delivery of enterprise-wide management development skills courses. She has a keen interest in learning acquisition and all aspects of management development training, particularly in teaming, cross-cultural and general communication skills. She’s been involved in the design, development and delivery of numerous courses. Learning and Development has always been very gratifying for her because, at the core, she sees it as helping people build awareness, find what motivates them, avoid what limits them, come to decisions, and focus on performing at their best. 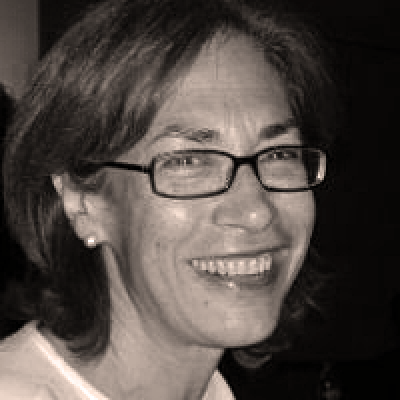 Maria Josefina has been involved in L&D of one kind or another for over 25 years, working first as a college professor, then in Arthur Andersen’s training center in St. Charles, Illinois, and in the training departments of Arthur Andersen and Ernst & Young in Paris, France. Most recently, her experience includes being a member of the Ernst & Young Learning & Development team for Europe, Middle East, India, Africa (EMEIA). She specializes in management development training design and delivery in collaboration with global teams, in-house facilitator certification, adaptation of learning materials to the cultural context of EMEIA, and cross-border course delivery within EMEIA. She has also served as a coach for Ernst & Young employees and partners from India, Africa and across Europe since 2012. Maria Josefina is originally from Argentina, but has spent long periods of time in the United States, Switzerland, France, and England. She knows what it feels like to shift perspectives, struggle to adapt to new cultures, change languages and ways of working with others while staying true to herself. She volunteers with a team of Ernst & Young consultants for Meilleurs Ouvriers de France to support award-winning French craftsmen and women with entrepreneurial projects. She coaches them in defining goals, advancing their projects, and collaborating efficiently with their teams. Maria Josefina is fluent in English, French, and Spanish and coaches in these languages. She is functional in Italian. Her areas of coaching include, but are not limited to the following areas: mobility coaching, new Partner transition coaching, new Executive director coaching, career path coaching, performance improvement coaching and coach mentoring. Maria Josefina is certified in the MBTI and TRACOM Social Styles. She designs and delivers management development training in the following areas: training facilitation skills, presentation skills, meeting facilitation, train-the-trainer, business writing, team building, delegation and feedback, questioning skills, professional behavior and cross-cultural skills training. Maria Josefina has worked for multinational corporations traveling the world as a facilitator, coach, and trainer working with thousands of top-level professionals. She received her Ph.D. in Language and Literature from the University of Chicago in Chicago, IL, and completed her coach training with the International Coach Academy in Australia. Instructional design: co-developed material and updates for the Business Audit Immersion, a global two-week course taken by new-hires world-wide; worked with subject matter experts to identify instructional content, implemented instructional strategies, and performed language reviews to ensure clarity for non-native speakers of English.